Just gettin’ you warmed up, folks! Full-blown Christmas posts start tomorrow! 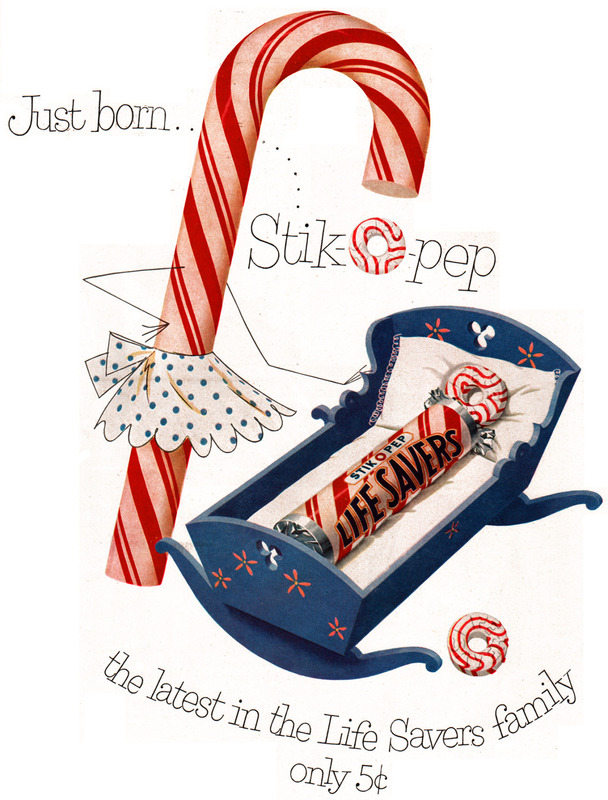 Posted in 1940s, Food, Retro/VintageTagged advertising, candy, candy cane, illustration, peppermintBookmark the permalink. This Christmas — Don’t Miss the Fun of Smoking!